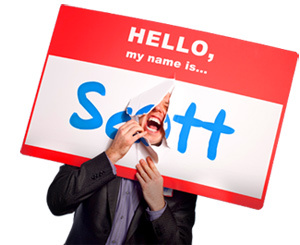 71 Things Customers Don't Want to Hear You Say - HELLO, my name is Scott! 1. Ask the other guy. 2. Because I said so. 7. I can’t do that. 8. I can’t help you more than one time. 9. I can’t help you. 11. I don’t have time. 12. I don’t know what to tell you. 13. I don’t know where to find that. 14. I don’t know whom to call. 15. I just sold the last one. 16. I’ll do it later. 17. 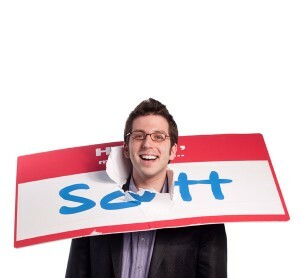 I’m going off duty. 18. I’m off the clock; you’ll have to ask someone else. 20. I’m on the phone. 22. If I have time. 26. It didn’t come in. 28. It’s not my fault. 30. Just look on the website. 32. My boss said I couldn’t. 33. My shift is over. 36. Not on my shift. 37. Read your owner’s manual. 39. Take it and go! 41. That person’s not here. 42. That’s against the rules. 43. That’s all I can do. 44. That’s all there is. 47. That’s not my job. 48. That’s not our policy. 50. That’s the way we’ve always done it. 52. There’s nothing more I can do. 54. Too busy right now. 56. We don’t do that. 57. We don’t have it. 58. We have never done it that way. 59. We no longer carry that. 61. We’re not Burger King. 62. We’re out of that. 64. When I get time. 65. Whenever I get to it. 68. You’re out of luck. 71. You’ve got to be kidding.